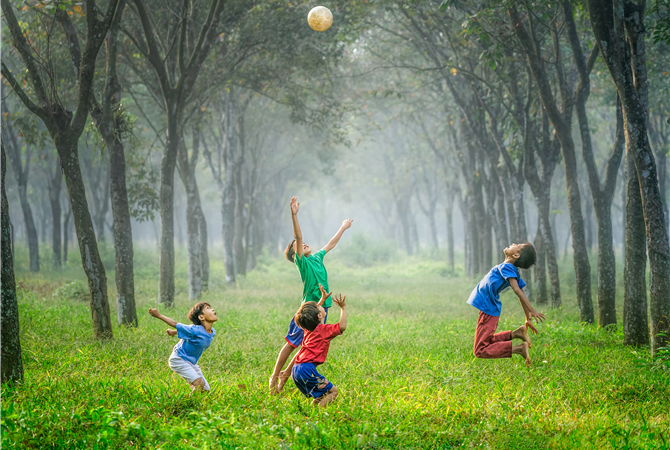 In the previous blog I explored the ways in which being good at sport and physical education affords learners physical capital, which in turn allows them to develop their social status. However, I also argued that this capital is gendered and that boys gain more from it that girls. Furthermore, I explored the idea that where girls gain capital from being slim, pretty and tanned, boys gain it from being strong, skilful and powerful. These differences are upheld in society and yet kids are not equipped to address them nor challenge them. This week’s blog I explore the idea of valuing the physical activity life. I suggests that the opportunity to be self-active is not an individual thing but a community thing. It is a frame of mind that rests in the community and not just in the individual and is one that requires investment in policy and provision well beyond what exists at present. The blog argues that physical activity opportunities should be considered as being as much a right as clean running water. Siedentop, D. (1996/2012). Valuing the physically active life: contemporary and future directions. In D. Kirk (ed.) Physical Education. (pp. 376-386) London: Routledge. We have spent hundreds of years and millions of pounds, dollars, yen, euros, and so on, providing clean water supplies to communities and we continue to do so. Rightly so. Historically water born disease has been a huge cause of human death and we - as a planet - are working hard to ensure that everyone has access to clean water as a fundamental human right. If we don’t start thinking of physical activity as a fundamental human right and providing high quality facilities that are staffed by the best people and are convenient for all to access, then what chance do we have in encouraging physical activity? Yet in this whole notion of community comes the key idea of school and education. We cannot expect people to simply seek out high quality and appropriate physical activity - just like we can’t expect people to simply know that they need to boil water to purify it - they have to be educated. This is where physical education and community sport comes in. We need to create opportunities for young people to engage in physical activity during and after school, with their friends and family and in local sports facilities. But, specific to physical education and potentially coaching, how do we ensure the transfer of learning? How do we make the connection between learning the exact technique of throwing a “3-pointer” or hitting a hockey ball forty metres with lifelong physical activity? Learning to play the game is one thing, but an obsession with precise replication that uses elite athletes as the ‘YouTube role model’ seems to be increasing less important to me. As does the very idea that ROBing (Roll Out the Ball) children of an education is in anyway acceptable. Neither of these adds up to an education capable of helping people make informed choices about physical activity. However, it is more that just education and it can’t be just about the individual. Instead it has to come from the community and the family. Schools can become the focus of a ‘developmental triangle’ that is funded and supported by government. In the UK we had the political slogan “the big society” and yet this is what Siedentop terms a pseudopolicy i.e. something that sounds good but does nothing. I don’t know what ‘big society’ means but if it meant that we invested in society’s sense of community and its ability to provide physical activity for all then that would be a great thing. What can you do, or do you already do, to promote physical activity in a community sense? I remember speaking to Adam Howell once during a #PHYSEDagogy session about the “rip van winkle” effect (Goodyear, 2013) ( a guy who fell asleep on top of a mountain for 20 years and then awoke bemused to find society had changed) in other words how, if like Rip, if you fell asleep for 20 years, would you find things markedly different in your gym? In keeping with this - and although this paper was written over 20 years ago - Siedentop’s message that we need to advocate for the values of a physically active life is as equally powerful, important, and worrying now, as it was when it was written. Siedentop asked what could be done to ensure that a large number of the population were able to adopt and maintain a lifestyle in which physical activity of the right kinds and the right amounts were prominent. He said, that in order for this to happen, the population needed to value physical activity and be critical of the current inequalities that exist and the barriers to physical activity they present. By valuing, Siedentop held that it was very important that participation habits were such that people organised their lives so that regular involvement in activity occurred throughout their lives. This meant that the daily and weekly schedules that we make include physical activity even when other important and attractive alternatives exist. Participation is key but so is the willingness ‘to participate in ways that are literate and critical”. At the heart of being literate is the idea that people are willing to use their knowledge to preserve, protect and improve their practice of activity. Being critical, according to Siedentop, is a willingness to acknowledge that fair access to all (regardless of race, gender, disability, age or socioeconomic status) is vital if the population is going to be more active. However, physical activity is seen as an individual pursuit and talked about from an individual perspective. It has become the focus of the private sector and subject to a pay-to-play mentality. In some cases it has become a medicine to cure the ills of an individual but it has failed to become a focus for public policy and resources that can provide an infrastructure that promotes and supports participation in physical activity. This is especially important as the research that Siedentop draws on strongly indicates that social class particularly is a key determinate of physical activity. Those with a disposable income and free time are best placed - both geographically and financially - to engage in physical activity. Local contingencies have a strong impact on how people view activity. The location of a well-equipped facility for physical activity is an important but Siedentop suggests that this distance is measured in steps and not miles. Yet without such a facility where is a community even to start thinking about physical activity? Yet, urban regeneration has, on the whole, been about housing and not activity needs. Indeed Siedentop argues that politicians and policy makers - educators even - have become resigned to the fact that little can be done to reduce social class inequalities and have therefore focused on personalistic solutions i.e. give up smoking and take some exercise. However, solutions to inactivity problems are more likely to lie outside of an individual and are, instead, embedded in social and economic concerns that can shape and sustain healthy behaviours - such as access, persisting groups and challenge. Access, as mentioned above, is key. Opportunities that are “tangibly local”, safe, and attractive, mean that exercise opportunities are more likely to be valued. Yet working in persisting groups is also important. The sustained presence of “extra ordinary adults” who lead persisting groups are key to lifelong engagement. Finally a sense of real accomplishment is an aid to lifelong physical activity. Yet to achieve these requires culture that values physical activity. We need public policy and action. Community-based programmes are traditional underfunded, unstable and focus on fixing problems rather than preventing them. If these projects - many of them which are both local, persistent and provide accomplishments - become part of a wider developmental triangle with schools and families then Siedentop believed that cultural changes could occur. If it was properly funded and didn’t rely on either volunteers or private activity infrastructures then more of the population might come to value the physically active life. But what can you do? Siedentop believed that by developing and replicating small local solutions to these big problems then we could get action local and policy level change in this difficult and yet not insurmountable problem. Think about findings of the paper – do they resonate? Use twitter (@DrAshCasey) to ask question, seek clarification, may be challenge the findings?